We’re shipping the Signed Limited Edition of Robert McCammon’s The River of Souls, which includes the novel proper, illustrations not in the trade hardcover, and an 11,000 word bonus story that won’t be available anywhere else for at least two years. The limited is 97% sold out, so don’t hold back if you’re interested in a copy. Kealan Patrick Burke: In The River of Souls, the fifth book in your Matthew Corbett series, when we meet Matthew, he is somewhat unmoored, lonely, lamenting the loss of love, an intentional sacrifice to keep those he cares about out of harm’s way. And by the end of the novel, this caution is revealed not to be unfounded. Do you ever see him finding a way back to love despite the inherent and obvious danger? 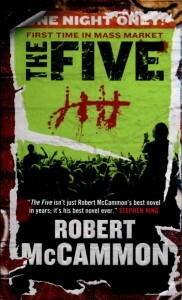 Robert McCammon: Well, first of all there are five books yet to go in the series. I will say that I know what the series is about, I know how it will end and I know what the last line will be…but I’m not exactly sure how I’m going to get there and I don’t want to be sure. I want the series to be a surprise to me. I have faith in my ability to guide it to a good conclusion, but I don’t want to have every step mapped out. If you’re asking if Matthew will have more romantic encounters, that is certainly true. And if Berry will come back into the series…certainly true again. KPB: We are introduced in the novel to the memorable character, Magnus Muldoon, who though initially an antagonist, becomes for Matthew an invaluable ally. Given your penchant for revisiting some of the more memorable characters in Corbett’s world, is it safe to say that we should expect to see more of this wonderful character in the future? RM: As I stated above, I don’t know. I have no idea who will show up in future books or who will die…this series just happens. Will Magnus return? Not sure, but you can be sure that there will be more characters equally as interesting as Magnus. 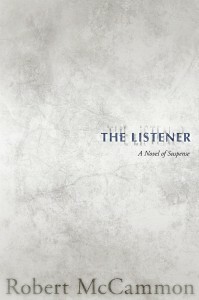 KPB: Given the period in which these books are set, it is no surprise that superstition plays a large role in the proceedings, perhaps never more so than in Speaks the Nightbird. How much of the swamp-lore and the vicious tribe who dwell there is based on real superstition, or did you develop it all yourself for the purposes of the book? RM: Part of The River of Souls is based on the lore of the Bell Witch, from Tennessee, and also from local Alabama lore. The “creature” is based on stories told in a small town very near to my hometown. And a lot of it comes from my imagination, too. It just seems “right”. 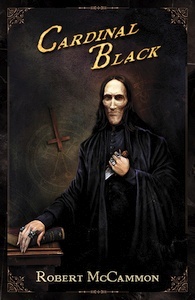 KPB: Speaking of superstition, and in particular the horrific incident midway through the book in which you employ a rather macabre sporting event, have you considered writing an outright horror novel featuring Matthew Corbett, or is the supernatural something you prefer to keep to your non-series novels? RM: I think “creepy”, “spooky” and “horrific” can be applied to the Corbett series but I’m not sure I want to go deeper into what we call the supernatural. I will say, though, that clues were planted in both The Queen of Bedlam and The Providence Rider that lead to a situation that might be called “supernatural”. It involves a book. A book that shows up in both Bedlam and Providence Rider. There’s a lot going on in this series that won’t be fully clear until we get into the final phase. 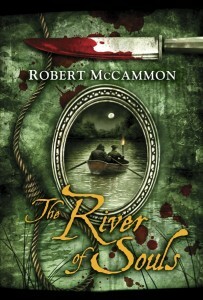 KPB: The River of Souls is fairly different in structure to the other books, in that, rather than have the plot involve the decoding of an intricate and elaborate mystery, the villain is revealed rather early and the book focuses more on the hunt, the swamp as a character, and all the evils it hides. The book is also the shortest in the series thus far. Can you talk a little bit about the inspiration for The River of Souls, and whether it was a conscious choice to move away from the idea of the mystery being the propelling force behind the story? RM: Actually I was going through a rough time in my personal life and I wanted to live some of that out through Matthew. He was my “sin-eater”. Also my role-model. He can take whatever is thrown at him and keep going. Of course he’s going to be changed in some way and that’s what life is about, but Matthew is an ultimate survivor. So The River of Souls was more about endurance than mystery. KPB: How much research do you typically do when preparing a Corbett novel to ensure that you authentically represent both the period and detail? RM: I did reams of research for both Speaks the Nightbird and The Queen of Bedlam, so unless I have a specialized situation I can coast for a little while on my research. If something comes up that I need to find out about, I know where to look. I also have to say that I’ve embellished the times a little bit…cleaned them up some, because there was so much disease, pestilence and plague in that era there would be no time for handling anything else. My research on that era tells me there was no word for “joy” but many words for “sorrow”. It was truly a very rough, heartbreaking and soul-wrenching time. I am in awe that this country and the cities in it exist, to be perfectly honest. How humans overcame the swamps, the primeval forest, the diseases and all the other hardships of that time…it’s amazing and really incredible. KPB: Much like the miasmic swamp, the pall of series antagonist Professor Fell looms large over The River of Souls, and by the book’s end you set the stage for a reckoning. As the next book is a ways off yet, and without giving too much away, how much of that coming story do you already know, and can you tease us with an idea of what to expect? RM: Again, clues have been already delivered that will come to fruition in the next book. I do know what the story will be and a lot of what will happen, but certainly not all of it. I do know we go to England in the next book, and the rest of the series will probably take place in Europe. And of course Professor Fell will be a large character in the next book…we may even find out who he really is and what he looks like. If indeed “he” is not really a woman who’s been hiding behind the image of a man. KPB: As with the other books in the series that Subterranean has published, The River of Souls features typically evocative cover art and illustrations by the wonderful Vincent Chong. Obviously, it’s critical that the representations of your characters are accurate. How closely do you work with Mr. Chong to achieve the desired result? RM: I don’t really work with Vincent that closely but he always does a great job. I love the idea of using a “weapon” of some kind on the covers. I’m always pleased to see Vincent’s work, it’s excellent. KPB: Included in the limited edition of The River of Souls is “The Scorpion’s Eye”, a fun novelette featuring another series character, the roguish master-thief, Minx Cutter. The story has an adventurous, almost pulp-fiction feel to it. Have you considered writing more of these standalone tales, perhaps featuring other characters from the series? RM: I was planning on doing next a book of short stories and novelettes about other cases Hudson and Matthew have handled. I’ve dropped mention of other cases they’ve been on in the books, such as “The House At The End Of The World”, “Night Ride” and the complications of a romance between a colonist and an Indian maiden that would be titled “Love Is A Walk Through Fire”. I was going to do this as the sixth book in the series, but I don’t think I can let readers hang so long with Matthew in his current predicament. So…that has to be for later, if ever. KPB: It also takes a dramatic and unexpected turn into horror, perhaps even science fiction territory midway through. Is there any chance that we might see more of the accursed “object”, or other treasures from Xavier Dreadson’s macabre collection? RM: Ha! Good idea. Who knows what else Dreadson had in that house, and who’s got hold of those things now. I may play with that one. Other “objects” may show up in the possession of…well, we’ll see. KPB: Now that she has been incorporated into the Herrald Agency, how big a role will Minx Cutter play in the next Matthew Corbett book? RM: That I don’t know yet. For sure, Minx is a very interesting character. But be assured there will be plenty more, and a lot yet to come. And when we get to the end and people realize what Professor Fell is searching for, and why…I think the destination will definitely be worth the journey. 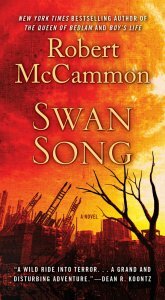 KPB: Thanks so much for your time, Mr. McCammon! RM: You’re welcome, and thank you.